Founded as LucasFilms Games in May of 1982 by George Lucas, LucasArts was a force in the video game industry for just over three decades, with the company boasting anything from Star Wars: Knights of the Old Republic to the original Maniac Mansion. Unfortunately, LucasArts closed its doors to development in April of this year, with the company only holding the power to publish or license titles from here on out. Given what they've managed to cook up in the past, the loss of LucasArts is a blow from which the industry won't soon recover. Whether it was an FPS or a point-and-click adventure, LucasArts consistently delivered a quality product year after year. Now, as the end of October approaches, we couldn't help but notice that an important date is coming for the company: the 15th anniversary of the release of Grim Fandango. 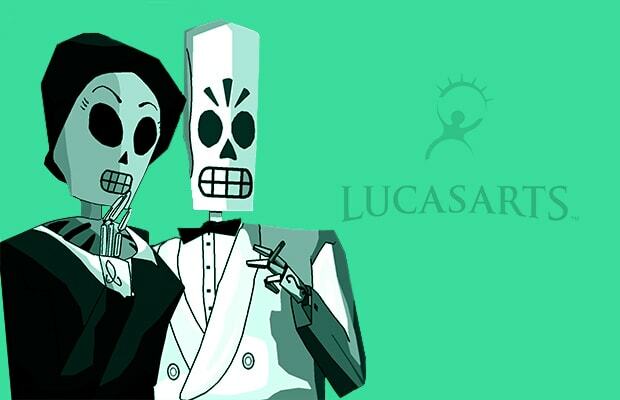 A heavyweight on the LucasArts roster, Grim Fandango represents almost everything good about a video game with regards to artistic direction and creative emphasis. Of course, as we've mentioned, this was hardly an exception at LucasArts. So to help with the celebration, we decided to put together a list of the of The 25 Best LucasArts Games Ever. Let us never forget the adventures we had with old friends like Guybrush Threepwood or Sam and Max.